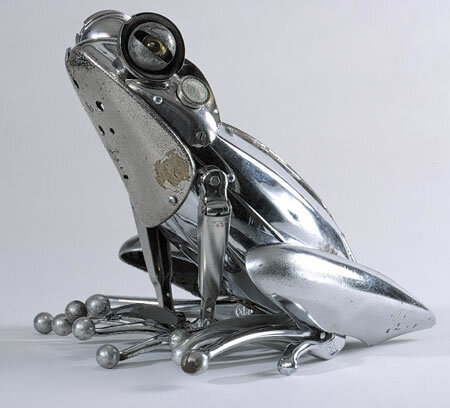 Edouard Martinet is a French artist who has taken an original approach to turning metal into animal art. 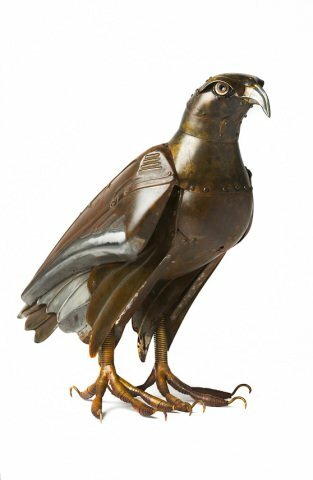 Several of the artists we have featured have used various forms of metal from around the house, watch parts and even traditional skills of welding, but Martinet's animal artworks are finely and elegantly screwed together. The results, I am sure you will agree, are quite life-like! 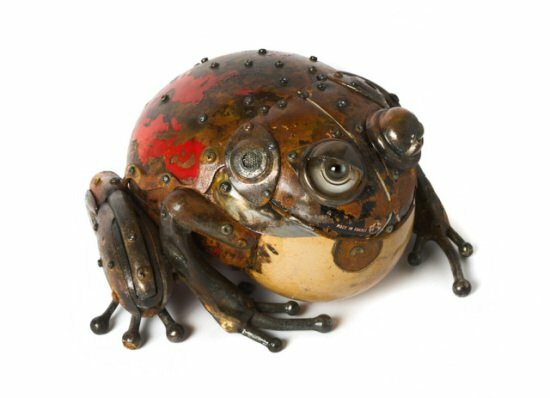 Frog Art by Martinet: A fabulous frog, one of Martinet's amazing amphibians. Toad Art by Martinet: Another amphibian of Martinets, a very handsome toad. Falcon Art by Martinet: One of my favorite of Martinet's pieces, this falcon is probably not favored by most of his other sculptures! 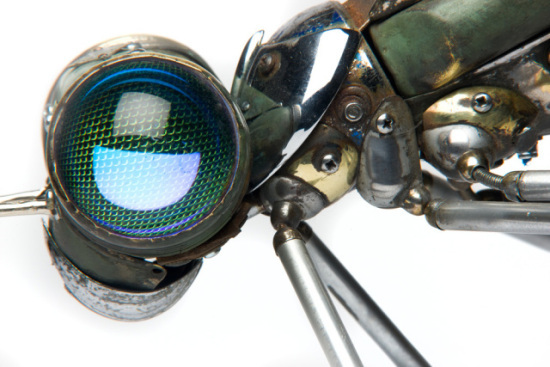 Martinet became interested in one of his most prevalent subjects, insect art, at a very young age, largely thanks to a teacher who was almost obsessive when it came to the bug world. Beetle Art by Martinet: A blue and yellow beetle by Martinet. 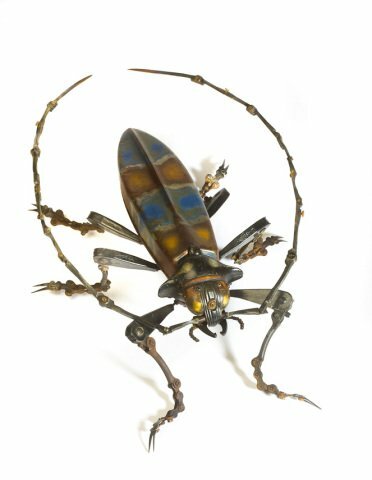 He has also made green beetles and Lady Bugs, which are also a beetle. 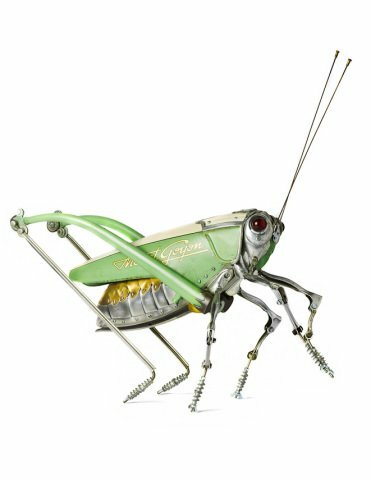 Grasshopper Art by Martinet: Take a close look at the lettering on the side of this grasshopper art of Martinet's. 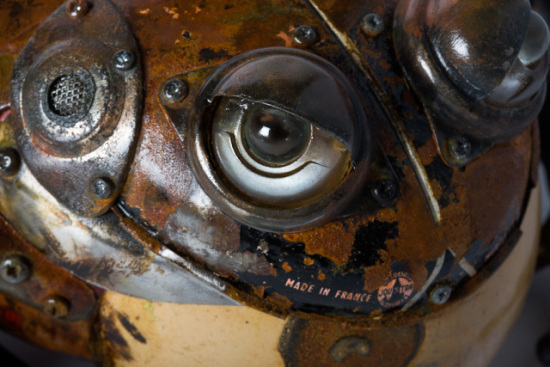 Martinet usually spends about a month on any specific sculpture, and often works on multiple projects at a time. His first of these sculptures only took four months to complete, but his most recent project has been in process for seventeen years! Take a look at the intricacy Martinet puts into these animal sculptures. Dragonfly Art by Martinet Detail: Some very precise work by Martinet. Toad Art by Martinet Detail: A close up of the toad pictured earlier. Notice the "Made In France" etched along the mouth. Be sure to visit Edouard Martinet's animal art portfolio and check out some of his and other artists featured at the Sladmore Gallery in London where you can find more animal artists. Which of these pictures were your favorites? Be sure to like or pin this article and check out some of the other animal artists featured here on Pets Lady! Images used with artist's representative permission. From Goya To Westminster, The Bichon Frise Has Come A Long Way Baby!